Our team has vast experience and knowledge in performance tuning and troubleshooting of various systems such as OLTP, Data Warehouse, online e-commerce portals and ticketing systems. Our engineers can identify the bottleneck that may be present at the Application, Server, Network, and Disk or at the Database level. Application Tuning: Java, PL/SQL, SQL, etc. NAHC Solution is a team of professionals having more than 15+ years of experience into Databases, System Integration, Technology Consulting, Enterprise Application Development and Product Development. 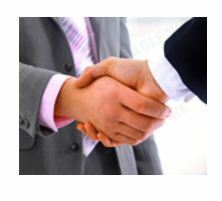 We are committed to provide excellent services in the area of System Integration, Technology Consulting and Education.